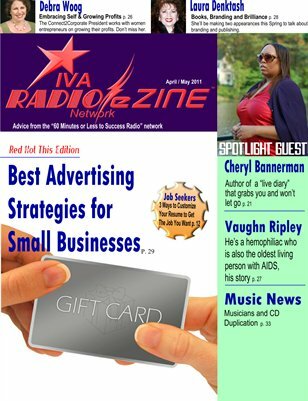 This is the latest edition of the IVA Radio Network eZine. We've got a new brand and we're dying to show it off to you! Featured this month are author and business woman, Cheryl D. Bannerman, author and publisher, Paulette Jones and International business coach Dr. Richard Norris. We're also bringing you some great articles on careers, small business and music.